By the late 1800s there were several societies for the prevention of cruelty to animals in the United States. In 1873 a prevention of cruelty to children was formed. Lacking a unified voice, four years later, delegates from 27 humane organizations in 10 states decided to unite and combine their skills for the welfare of both children and animals. In 1877 the American Humane Association was officially formed. Following is a limited overview of some AHA animal supported events. 1915 – AHA initiated Be Kind to Animals Week, still celebrated annually the first full week of May, one of the oldest observances in the U.S.
1916 – At the request of the Secretary of War, the AHA created American Red Star Animal Relief to aid horses and mules in WWI. opened its Western Regional Office in Hollywood, California, to fight animal cruelty in film productions. 1941 – The Association of Motion Picture Producers agreed to give the AHA open access to all movie sets using animals. 1945 – AHA supported a program to provide therapy dogs for recovering WWII veterans. 1971 – AHA calls for law enforcement to stop cockfighting. 1975 – AHA observed first annual Adopt a Cat Month to encourage shelter adoptions. 1981 – AHA celebrates first annual Adopt a Dog Month to encourage shelter adoptions. 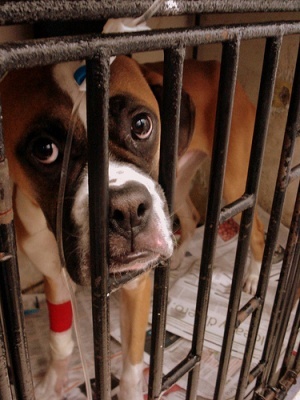 1995 Aha established the Second Chance Fund to provide grants to local animal care agencies to pay for medical expenses of animal victims of abuse and neglect. 1999 – AHA founded first Tag Day to help lost pets reunite with their owners. 2000 – AHA established standard for humane car of animals in agriculture and began certifying farms raising livestock humanely. 2001 – After the 9/11 terrorist attacks, AHA’s Red Star Animal Emergency Services delivered supplies and equipment to New York City and provided medical examinations and de-contamination for search and rescue dogs. 2005 – AHA deployed Red Star Animal Emergency Services to Louisiana to help animal victims of Hurricanes Katrina, Rita and Wilma. 2010 – AHA joined other animal welfare organizations in the Animal Relief Coalition to provide funding and emergency response services for animals affected by the earthquake in Haiti. 2011 – AHA established the Animal Welfare Research Institute to explore and achieve advances in predictive, preventive and participatory methods to save animals’ lives and improve their quality of life. 2011 – Initiated AHA Hero Dog Awards to honor dogs who transform people’s lives through unconditional love, devotion and intuition. There have been some dissenting voices on some of the actions of the AHA. 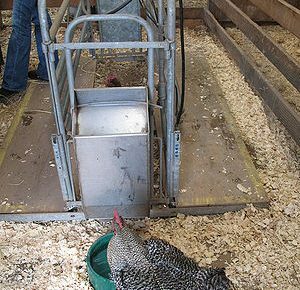 PETA (People for the Ethical Treatment of Animals), an organization that has faced some controversy itself, has pointed out inconsistencies in the AHA to policies towards animals. In 2010, PETA members rallied at the Hollywood premiere of the movie, “Zookeeper” after a giraffe collapsed and died on the set. An elephant used in the film is also suspected of suffering abuse at the hands of trainers from Have Trunk Will Travel. PETA explains that the AHA presence on a movie set is no guarantee to protect against animal abuse. AHA only monitors the actual filming, not training sessions where abuse is most likely to occur. In 2007, PETA reported that the AHA supported circuses in the use of bullhooks for elephants. PETA and the rest of the animal protection agencies supported the bill in California that would have banned the cruel use of bullhooks.